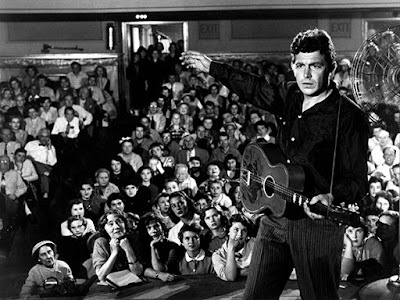 A Face in the Crowd (1957), starring Andy Griffith, is one of the classic movies airing on TCM this week. 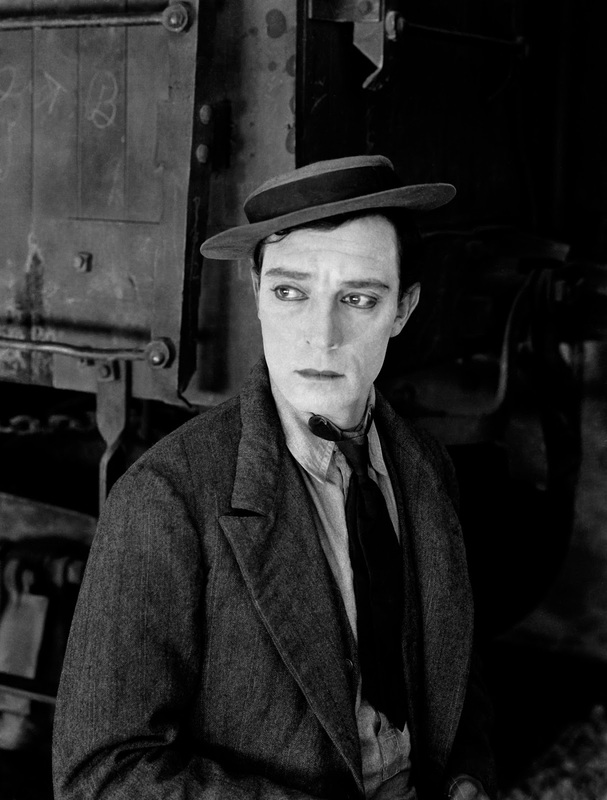 This week, TCM is airing great movies from stars like Christopher Lee, Buster Keaton, and Carole Lombard. Plus, they are putting the spotlight on trailblazing women in Hollywood and classic horror films. So, without further ado, let's jump right in to this week's offerings. Just a note: the highlighted text has links to full length articles. 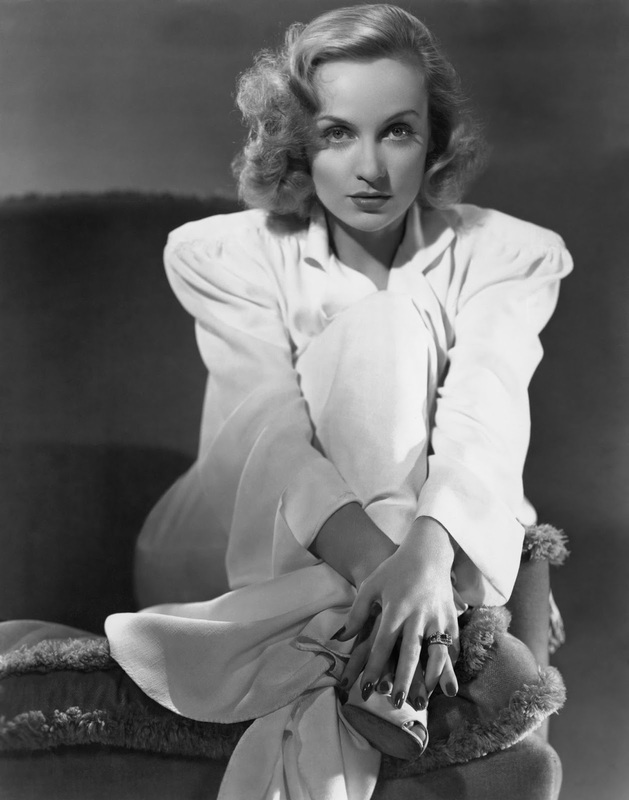 Birthday tributes: Buster Keaton and Charlton Heston Tuesday; Carole Lombard on Thursday. Sunday Prime Time: Three forties Frankenstein movies. Silent Sunday Nights: The landmark 1920 version of Dr. Jekyll and Mr. Hyde at 12:15 a.m. starring John Barrymore. TCM Imports: House (1977) at 2 a.m. Sunday night/Monday morning. Japanese director Nobuhiko Obayashi's horror film is about a group of schoolgirls who are trapped in a haunted house. Best Day to DVR: Wednesday night. Guest programmers Johan Goldberg and Leon Wieseltier chose four fascinating ideological movies. Three daytime picks: Movies edited by groundbreaking female editor Margaret Booth including director John Huston's neo-noir Fat City (1972) at 10:15 a.m. about a washed-up boxer (Stacy Keach) who is trying to make a comeback. 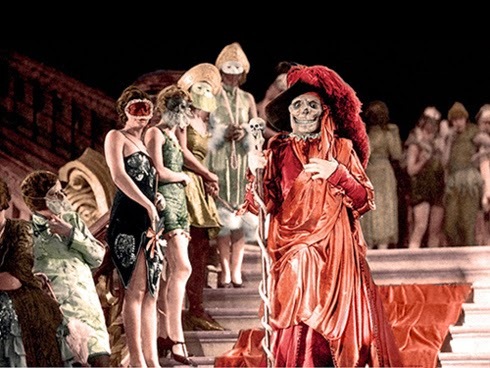 The afternoon lineup is devoted to star of the month Christopher Lee's early films. He had small parts in two seafaring dramas: Captain Horatio Hornblower (1951) at 12:15 p.m. starring Gregory Peck as the naval hero and the Burt Lancaster swashbuckler The Crimson Pirate (1952) at 2:30 p.m.
Prime time lineup: The Lee movies continue with two of his best non-horror roles. 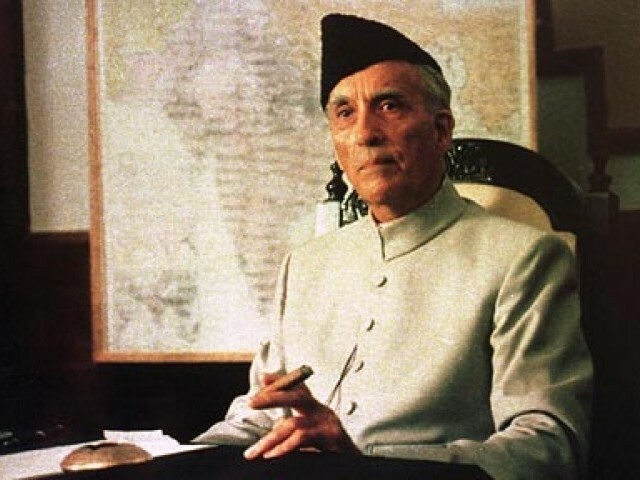 Lee gave one of his finest performances as the founder of Pakistan in the biopic Jinnah (1998) at 8 p.m., and he was introduced to a whole new generation of film fans as the evil wizard Saruman in The Lord of the Rings: The Fellowship of the Ring (2001) at 10 p.m.
Late night pick: Lee plays the villainous Comte de Rochefort in The Three Musketeers (1972) at 1:15 a.m.
Three daytime picks: A combined birthday tribute to comedian Buster Keaton, who was born Oct. 4, 1895, in Piqua, Kan., and leading man Charlton Heston, who was born Oct. 4, 1923, in Evanston, Ill. The morning starts out with two Keaton silent comedies: The Cameraman (1928) at 7:30 a.m., in which Buster plays a photographer who falls for a movie star (Marceline Day) and Spite Marriage (1929) at 9 a.m. in which Buster is a hapless dry cleaner who is caught in a love triangle with Dorothy Sebastian and Edward Earle. Heston plays a heroic Marine Corps officer in the historical drama about the Boxer Rebellion, 55 Days at Peking (1962) at 3:15 p.m.
Prime time lineup: Each Tuesday and Thursday in October, TCM is turning the spotlight on trailblazing women in Hollywood. Tuesday's selections focus on trailblazing businesswomen like Mary Pickford in Little Annie Rooney (1925) at 8 p.m. Pickford was the first star to earn a million dollar salary and she co-founded United Artists with her husband, Douglas Fairbanks, Charlie Chaplin, and director D.W. Griffith. Next is silent star Dorothy Davenport in the drama Mothers of Men (1917) at 10 p.m. Davenport would later go on to be a screenwriter, producer, and director. 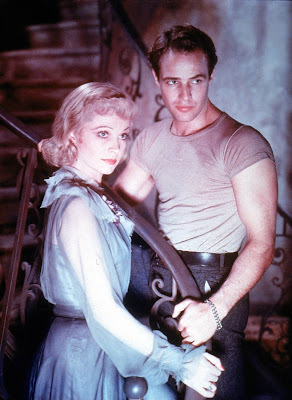 Late night pick: Lucille Ball ran Desilu Productions while also starring in films like the family comedy Yours, Mine and Ours (1968) at 11:15 p.m.
Vivien Leigh and Marlon Brando in A Streetcar Named Desire (1951). Three daytime picks: The theme is movies about the South featuring three Tennessee Williams' adaptations: Cat on a Hot Tin Roof (1958) at 6 a.m., Sweet Bird of Youth (1962) at 9:45 a.m., and A Streetcar Named Desire (1951) at 5:30 p.m.
Prime time lineup: TCM's guest programmers for October are Conservative columnist Jonah Goldberg and Progressive writer Leon Wieseltier who picked films based on the theme of "ideology in the movies." The night starts out with Goldberg's choice of director Elia Kazan's drama, A Face in the Crowd (1957) at 8 p.m,. about a drifter (Andy Griffith) who becomes an influential media personality. Next. Wieseltier chooses another Kazan film, America, America (1963) at 10:15 p.m., which is about the immigrant experience in the U.S.
Late Night Pick: Goldberg's second pick is Mr. Smith Goes to Washington (1939) at 1:15 a.m., which he likens to the current Tea Party movement. Three daytime picks: A birthday tribute to actress Carole Lombard who was born Jane Alice Peters on Oct. 6, 1908, in Fort Wayne, Ind. She was one of old Hollywood's great comediennes in screwballs like Nothing Sacred (1937) at 6:30 a.m. and Mr. and Mrs. Smith (1941) at 1 p.m., but she also excelled in dramas like the divorce movie In Name Only (1939) at 11:15 a.m.
Primetime lineup: The spotlight on trailblazing women continues with a look at ladies who controlled their own destiny, starting with Olivia de Havilland. The actress made the Bronte family biopic (she plays Jane Eyre author, Charlotte Bronte) Devotion (1946) at 8 p.m. while embroiled in a landmark lawsuit with Warner Bros. Marilyn Monroe formed her own production so she could make the rom-com The Prince and the Showgirl (1957) at 10 p.m. with Laurence Olivier. Late Night Pick: Mae West adapted the risque comedy She Done Him Wrong (1933) at 12:15 a.m. from her own Broadway play, Diamond Lil. Three daytime picks: The theme is the popular Dr. Kildare series starring Lew Ayres as the young, idealistic physician and Lionel Barrymore as his wise mentor Dr. Gillespie. TCM is showing all nine films the series starting with Young Dr. Kildare (1938) at 6 a.m. and wrapping up with Dr. Kildare's Victory at 6 p.m.
Prime time lineup: TCM is showing classic horror films each Friday in October. This week's selections are silent movies starting with Max Schreck's chilling performance as a famous vampire in Nosferatu (1922) at 8 p.m. followed by the seminal German Expressionist classic The Cabinet of Dr. Caligari (1920) at 9:45 p.m., which influenced Universal Pictures thirties horror films and film noir. Late night pick: Lon Chaney was silent films greatest horror star in movies like The Phantom of the Opera (1925) at 1 a.m.
TCM's prime time lineup is all about feel good romances starting with Sally Field as a single mother who is torn between an older man (James Garner) and her ex-husband (Brian Kerwin) in Murphy's Romance (1985) at 8 p.m. Crossing Delancey (1988) at 10 p.m. finds Amy Irving as a bookstore owner who is torn between an intellectual (Jeroen Krabbe) and a working class man (Peter Riegert). Dear Heart (1964) at midnight finds Glenn Ford torn between wallflower Geraldine Page and harridan Angela Lansbury. The Sunday Night Feature will put the spotlight on Frankenstein's monster each week in October. This week TCM is showing three forties movies starting with The Ghost of Frankenstein (1942) at 8 p.m., which stars Lon Chaney, Jr., as the monster and Bela Lugosi as Ygor. In Frankenstein Meets the Wolf Man (1943) 9:15 p.m. Lugosi takes on the monster role while Chaney reprises his performance as the Wolf Man. The House of Frankenstein (1944) at 10:45 p.m. finds monster veteran Boris Karloff playing a mad scientist while Glenn Strange takes over the role of the monster.